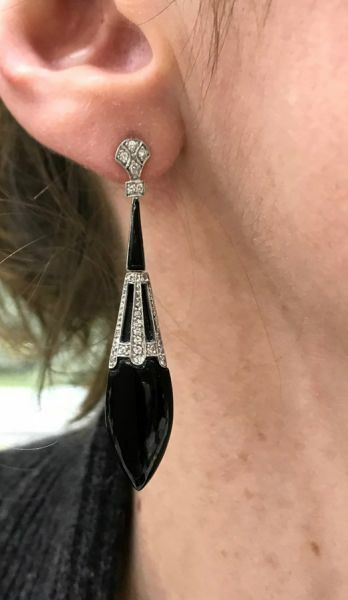 One pair of art deco platinum drop earrings. Two elongated tear drop shaped black onyx. Two triangle cut black onyx pieces. Forty-eight round brilliant cut diamonds (0.44 carats: SI clarity: G-H colour).